I am crying laughing at this. Poor Ford! I LOOOOVE Ford's Santa picture from last year. So freaking cute! Bless. His. Heart. He is the cutest, even when crying!! Love his santa outfit from last year! OMG!! Ford is so cute :) I was secretly hoping Nolan would scream for this years Santa picture because I think the crying baby Santa photos are the cutest :) (hoping that doesn't make me a bad mom?). Is that an H&M Santa suit from last year? 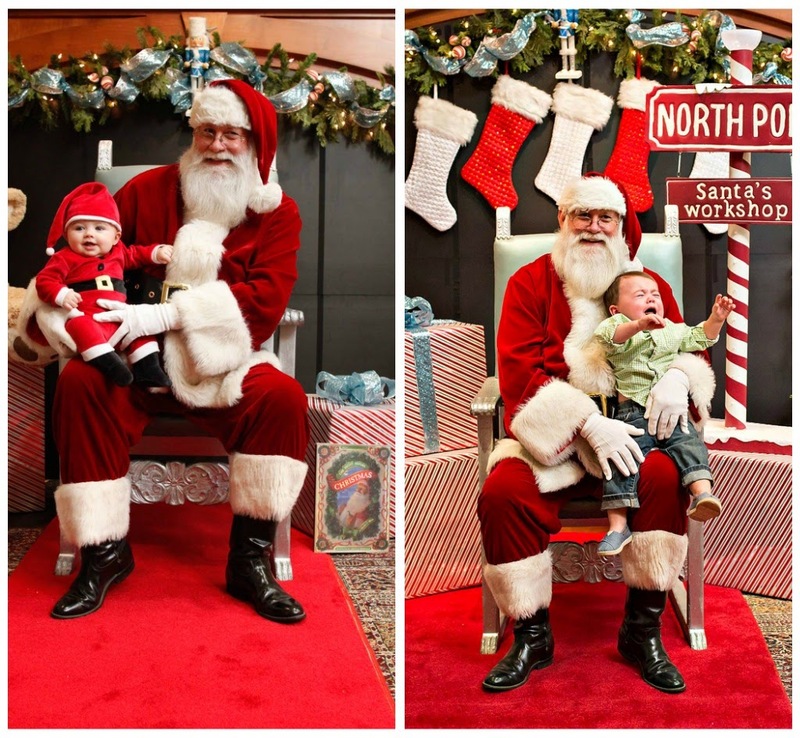 We did the same thing with Nolan's first Santa photo. I think it's great you were able to get the same Santa two years in a row! But I think this is the best Santa picture I have ever seen! 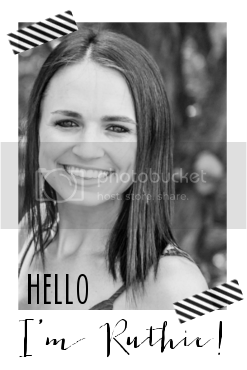 I am so tickled by these pictures. My daughter is boring in the respect that she has always LOVED sitting on Santa's lap. Always. We don't encourage it, but she asks every year (since she was 2). And without fail, she asks for candy. Ah poor guy! 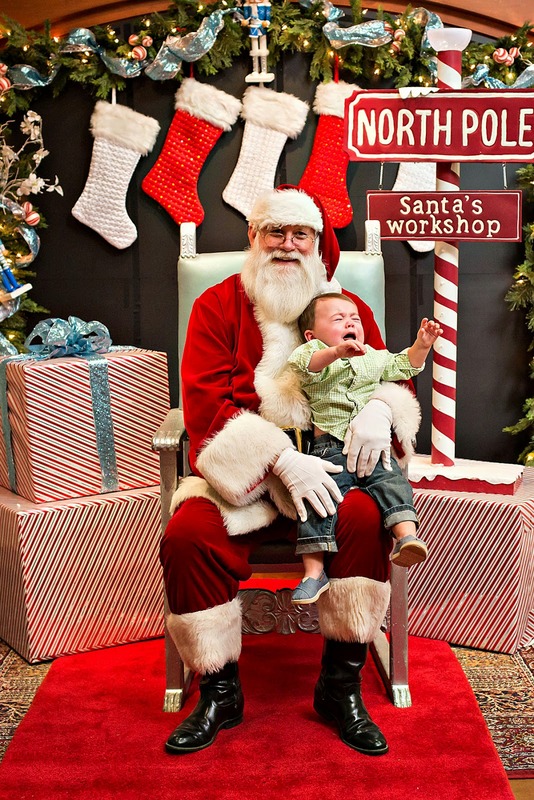 My son went through this stage too.......Santa hid behind the chair and popped out when it was picture. Time. It was the only way he would get near the chair. Love Ford's shoes. Are they Tom's? Love yours too. Do you mind telling what brand they are? Oh my gosh! I LOVE THIS SOOOOOO MUCH! Presley was the same way - last year we even got her to smile. This year, I had to rip her hands off my shirt so she could have a picture alone with Santa. I died laughing but got some pretty dirty looks from people in line. Chad even shook his head and said, "you could have just sat down with her and been in the picture". I told him, It's not that I didn't want my picture taken - I WANTED the screaming baby picture. ha. Blow fords up - it's EPIC. 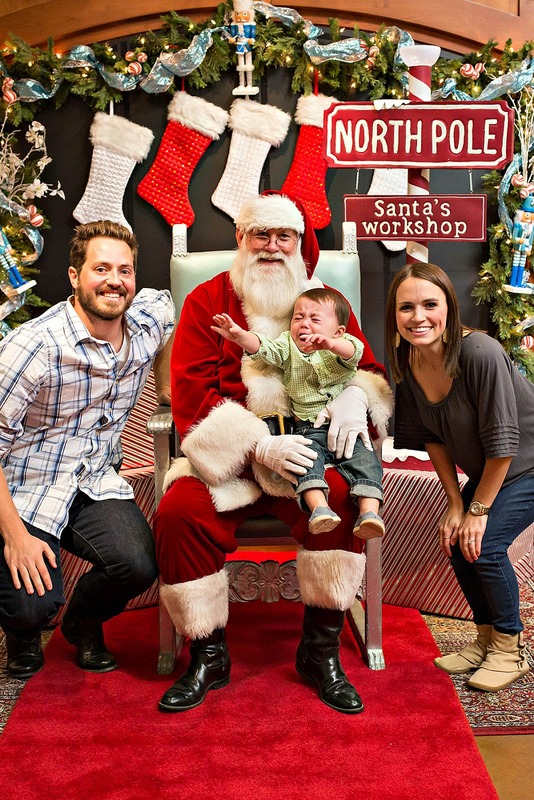 Crying Santa pictures are THE best! Too cute!